Description: Me&My Big Ideas Stickers have become a staple in every scrapbook. They are acid-free and lignin-free. 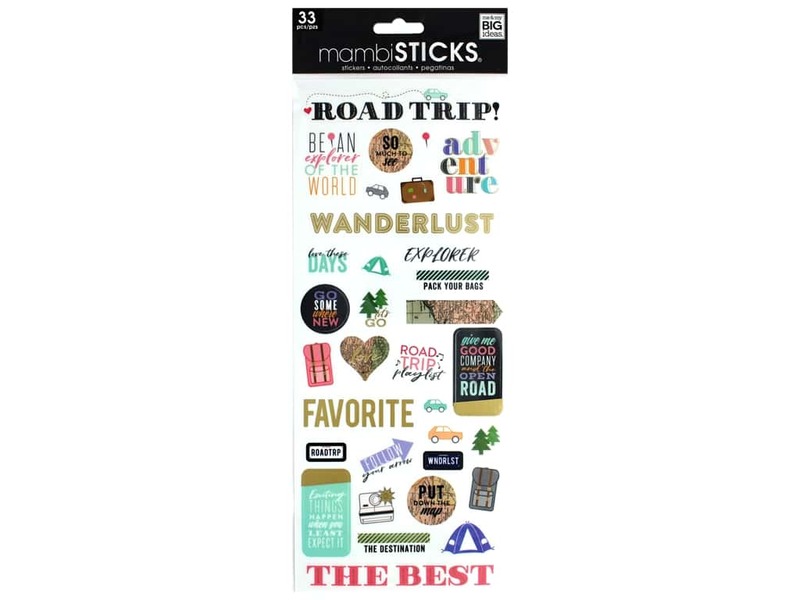 Specialty Pack Your Bags- 33 clear stickers that include designs of luggage, tents, maps, trees, captions of: love these days, road trip, follow your arrows, and more. Some have gold foil accents. Largest measures approximately 4.63 in. x .75 in.